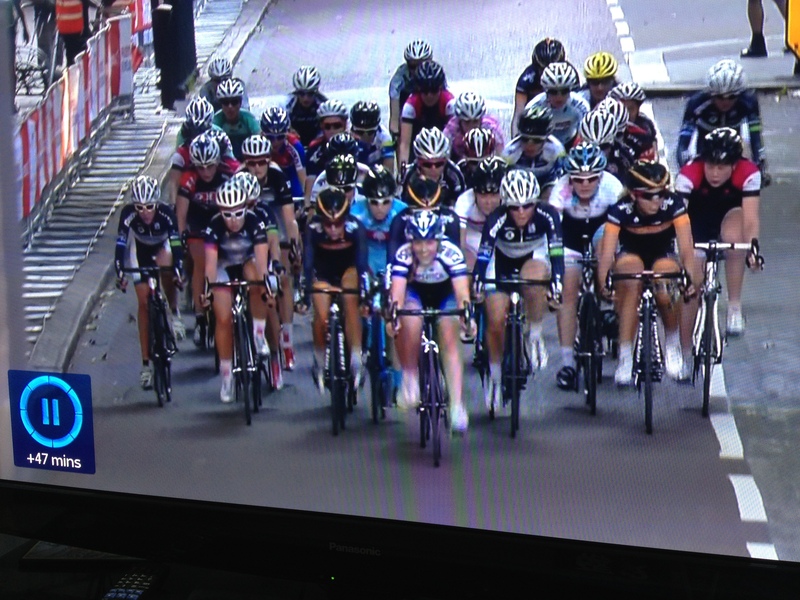 As a new cyclist in the Eastern Region, I found it very odd that there were so few women’s races in the region. In 2012, discounting national level races, there was a grand total of one women-only race in the region, outside the M25. Yes 1, that wasn’t a typo. Hmmm… Thankfully, things changed dramatically in 2013, when we had 16 women-only races. This included a new road race series of 5 races at Elveden (sadly not able to continue in 2014 due to costs – more on this in a minute), the Suffolk Cycle Racing Series including women’s only racing, one at RAF Woodbridge and a new road race put on by East London Velo amongst others. So, it’s starting to come together, but a) it’s mainly circuit races and b) to help potential new female racers, I felt that we needed a focal point. A source of information and somewhere to go, on the internet. After researching what the men have, and what women have elsewhere in the UK, what we were missing, is a league. This also links in with The Women’s Tour and the level of elite women’s racing. A league will help to encourage more local level races and riders and provide a stepping stone for those wanting to move from local racing to elite level. As well as numerous other benefits for women’s cycling that I don’t want you to bore about. In the East, we already have a league called ERRL (East Region Road Race League). but this is male dominated and the league forbids women-only events, thereby reducing us to racing against men. Fair play, it’s open and not sexist, but definitely not equal, and doesn’t encourage women to have a go. We could have set up a league for women within ERRL, just like they do in the South East. Afterall, everything’s already in place! Believe me, I went there, I tried. The outcome? We are setting up a completely separate league for women. Invitations to race organisers will be going out shortly and the website (currently no content) will start to be updated – http://www.womenseasternracingleague.co.uk we also have a twitter feed @WERLeague and a facebook page: Women’s Eastern Racing League. Come join the fun! The really exciting thing is – we now have at least 2 road races as part of the league, both of which will be new to 2014. One organised by Ipswich Bicycle Club, and the other, organised by Ken Jolliffe – the organiser of Elveden, who is keen to do more for women! So, as part of my targets for my winter training, I need to improve my technical skills. This is why, last weekend I did my first ever race training session. Having raced for over a year now, this is, perhaps, a little odd. Because there have never been race training sessions anywhere near me, I’ve learnt to race by err… racing. Anyway, I signed up for the first “women only” race training session in the region because there’s always more to learn and I still consider myself a pretty novice rider. I didn’t really knowing what to expect. With my level of experience, I was worried the session would be tailored to those with little or no experience, but Mark Wyer’s practical session was really good for all levels, it just worked out really well. We had some riders that had done a few triathlons, some that had done sportifs and one lady who had only just got her first road bike, as well as two of us that had raced before. So, session consisted of a talk on women specific training by Mark Walker, which was very useful for me and those wanting to really improve their cycling fitness racing and then out for the practical session based around cornering techniques. I’m generally ok at cornering, with all my experience in criterium racing in the past year, but the conditions were wet with twigs and leaf mulch, something I tend to shy away from since my bike slipped from under me in torrential conditions at the Johnson’s Health Tech GP Aylsham round this year. Since then, I completely lost confidence when taking left corners (right corners don’t seem to phase me, which is odd for a British rider, since most races consist solely of left-hand bends!). The session started pretty basic, so it covered most things I had picked up already, but there were also a few tips that I hadn’t come across before. Myself and the 18 or so other ladies were pretty successful at improving our speed through the corner, riding individually and in groups and I feel much more confident in those conditions. Even though the last section ended up being a race which pitted myself and the other racer against each-other at the end of an “Italian persuit” style race. 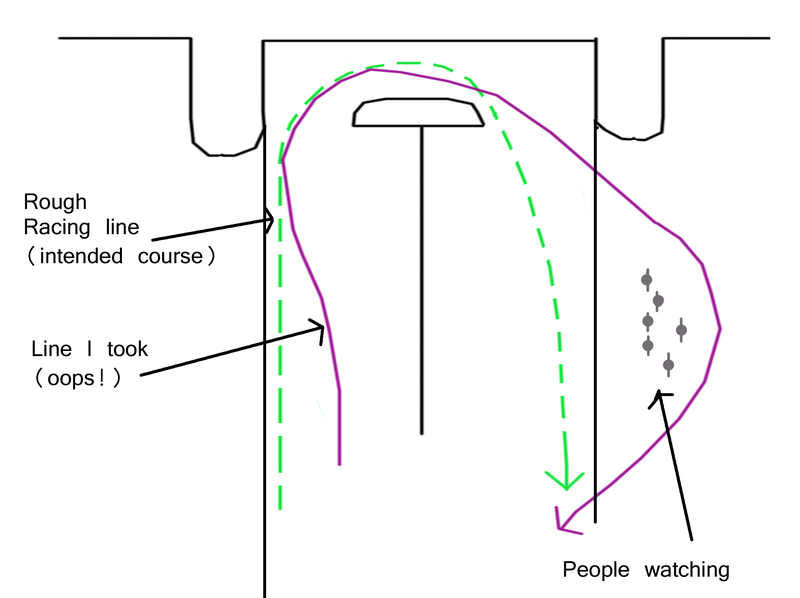 I was so focussed on winning that all the technique and knowledge I had just learnt, went straight out the window and I ended up taking a corner far to wide and went a bit off-course. oops! lesson learnt – focus on the job in hand, not the end goal! I thoroughly recommend attending training sessions when they are available, whether women only or not. It doesn’t matter how much you know, there’s always room for improvement! Great news! the World’s best women will at last be able to race in the most successful cycling country. This can only be good news and is a step in the right direction. How does it affect me? Well, we have a top race which is likely to attract lots of media attention. This attracts sponsors. So, the world’s top teams are invited and the rest of the spaces will likely go to UK domestic teams. There is no guarantee as to how many spaces there will be, but what is guaranteed is that there are now a lot of teams, and their sponsors, wanting to get in. No, REALLY wanting to get in. In order to be considered, each team is trying to select the best riders who will give them the best opportunity to get an invite. In turn, each rider is wanting to be one of those best riders. In short, everyone is upping there game. So, the women’s elite racing is going to be faster, harder, stronger than ever before and I don’t want to be left behind. I’m really focussed and motivated on my winter training – something I didn’t feel quite so much last winter. I’ve now got a coach on board – something I had intended to do before the news of the Women’s Tour – but I feel that it’s even more important for me now. Mark has created a training plan and is identifying what training I need to do each day. This is somewhat of a relief for me as before, I wasn’t really sure what I needed to do, but I now feel confident in what I’m doing and can focus 100% on the training session without that nagging doubt in the back of my mind. If the elite level racing is going to be that much harder, what will happen to the lower levels of racing? I see that gap between local racing and elite racing growing, making the step between the two, extremely difficult. This is one of the reasons why I felt that we needed a local league for the Eastern region. We have since set up WERL (Women’s Eastern Racing League). More on this to follow. On Saturday, I raced in the prudential ride London Women’s Grand Prix, which took place around St James’ Park in London, with the finishing straight ending with Buckingham Palace in full view. This was tipped to be a fast hard race, as it included a strong Wiggle Honda team including the Olympic golden girls, Joanne Rowsell, Laura Trott and Dani King, as well as several pro teams and the usual top domestic teams of Matrix Fitness Racing Academy, MG Maxifuel et al. I entered this race because it has to be one of the best settings for a race and was bound to be a fantastic experience, even if I stood no chance in such a strong field. Upon arrival, I could see that I would not be dissapointed in the setting, with The Mall, and all the Union Jacks flying right the way down the street and the sun shining on Buckingham Palace. The weather was perfect, hot during the day, cooling nicely by the evening. The race was to take place at 18.30, after youth and handcycling races (in which local rider Brian Alldis came 2nd – Yay!). All of the riders from the races got to do a couple of sighting laps to check out the course, where we found lovely wide roads leading to a road with street furniture and some gentle speed bumps, then a tight corner. It’s always good to be able to view the course first in order to pick up on these things so that they don’t come as a surprise when you are racing at speed in a bunch. After watching the races prior to ours, we all rode round the course from the pits to the start line. This is never a very gentle affair, with 100 riders in the race and criteriums being fast from the off, the position you start in on the line can be the difference between first and last place, so the race really starts at the jostle to the line. Unfortunately, when we all got to the line, we had to wait for about 45 mins whilst a youth rider received medical attention for a crash that happened in a previous race. Thankfully, news it that the boy had no lasting injuries and will be back on his bike soon, but it meant any benefits from warming up were lost. The race went off and, as expected, was fast from the off and there were soon riders being dropped and then lapped. I managed to stay in the bunch throughout the race, whilst attacks went off the front and were brought back again. I was grateful to miss a crash that went down in front of me early on, and managed to ride in the bunch and was even at the front with Olympic gold medallists Dani King and Laura Trott behind me. Unfortunately a second crash went down in front of me just before the sprint for the finish, in which Olympic gold medallist Joanne Rowsell broke her collarbone. The crash held me up and meant that I couldn’t contest the sprint, so just rolled in with the other riders that were caught up. I think my position was 36th out of 100 riders in the end. All-in-all, I thoroughly enjoyed this race, there was a tremendous crowd cheering us on, and to not only race Olympic champions, but to be up there with them in the bunch was just an experience I will never forget and hope to replicate in the future. It was also great to watch the full race shown on BBC One the following day.